You will need to carefully plan your finances while studying abroad. From scholarship information to financial aid to managing your budget, we can help you manage your finances effectively while studying in the USA. Budgeting is a continuous process. At this stage, work on a "big picture" budget that will include tuition, room and board, transportation, and living expenses. Later you can be more specific, taking into consideration all the additional expenses of moving and settling in. One very important factor in the "big picture" budget is health insurance, which can be as little as $1,000 annually for an individual or as much as $5,000 for a family. Locating financial aid for international students is sometimes not the easiest task, however we have compiled the most popular and common places that students can find international financial aid and put them into one easy to read resource page. There are hundreds of resources available online that offer scholarships or access to search for scholarships, but not all are legitimate and some are there just to scam students. Learn how to spot a scholarship scam and locate the resources that are tried and trusted. - Where do I look for scholarships? - Can I find scholarships to study abroad? - What expenses will I have to pay? Probably the most emailed topic, is how to obtain a scholarship or where to look for one. In short, the answer to all scholarship questions is unless you take the time and energy to look for one, and work diligently to prepare an excellent application package for each scholarship, you will probably not get one. • International Scholarships - they have an online database that is open to all students. You will need to register an account but once that is done (at no cost) you can have access to view and search international awards. • Education UK Scholarship Search - specific to the UK, this directory provides a free scholarship search like the 2 sites above. - If you must pay money to get money, it might be a scam. - Spend the time, not the money. - Nobody can guarantee that you'll win a scholarship. - Legitimate scholarship foundations do not charge application fees. - If you're suspicious of an offer, it's usually with good reason. While studying in Australia, you will need sufficient funds to cover your living expenses (housing, food, clothing, etc) and health insurance, as well as university's tuition and fees. So how much money will you need? You can get a general idea about expenses by looking at catalogs or application information provided by the university. Remember, however, that tuition rates vary tremendously. Some universities could be cheaper than others, but this is not always true, so to get the best idea of expenses you need to contact the schools you are interested in. The cost of living in different parts of Australia also varies. In general, living in urban areas (in or near a big city) is more expensive than living in smaller towns or rural areas. Renting an apartment in a big city can cost twice as much as it does in a smaller town because there is such high demand for housing in large Australian cities. Likewise, food, clothing, entertainment, and other living expenses may be more expensive in a city. Budgeting is a continuous process. At this stage, work on a "big picture" budget that will include tuition, room and board, transportation, and living expenses. Later you can be more specific, taking into consideration all the additional expenses of moving and settling in. Remember, you should never count on earning enough from working in Australia to pay your way. - معظم الطلاب الذين استفادوا من خدماتنا، يوصونا بنا لأفراد أسرهم وأصدقائهم. - معظم طلابنا هم من المتفوقين في فصولهم والأعلى في فئتهم. - غالبية طلابنا اكملوا دراستهم في الوقت المحدد. "We were satisfied that our daughter Mariam was in good hands and went along with the guidance provided by IS-Net counselors from the time of lodging the application to the University, to obtaining the visa which were all completed well before she was to leave for USA". 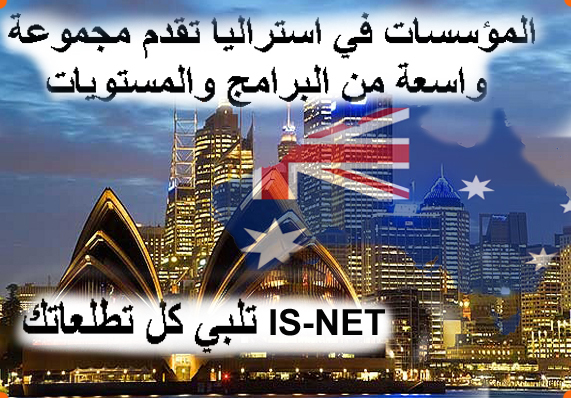 IS-Net was my first choice when I decided to apply for higher education in Australia. My experience is that the counselors at IS-NET give an excellent service and do not leave the burden of handling formalities to the student. Their friendly and efficient service is more than what we seek from an agent. 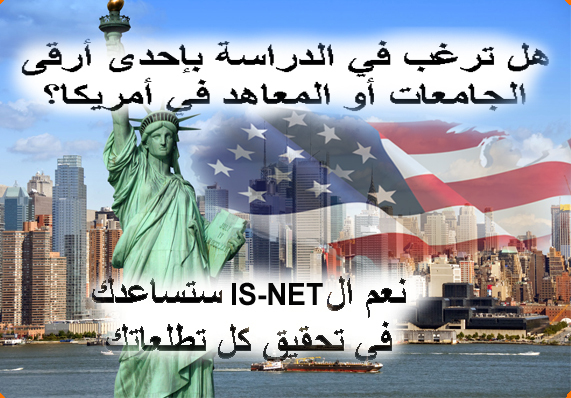 I got to know about IS-Net through their website and approached them personally later on. After a discussion about the study area I was interested in, they provided a list of universities I could consider and also suggested that University of Wollongong would be a suitable choice. The services they provide with promptness were very good. 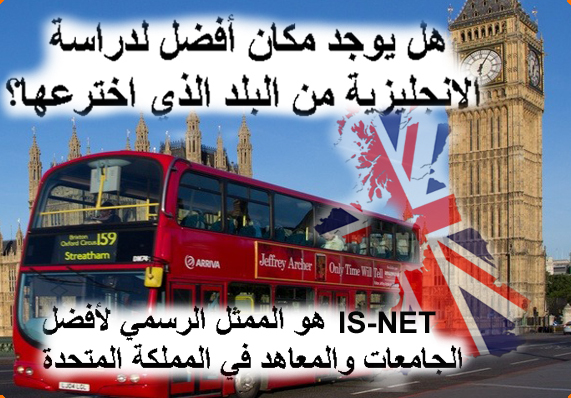 I thank them for the assistance they gave me to organize my studies in the UK.